Brand Analysis & Competitive Audits, Brand Strategy, Brand Identity, Brand Visual Systems, Packaging Design, Typography, Illustration, Production Management, 3D Digital Renders. 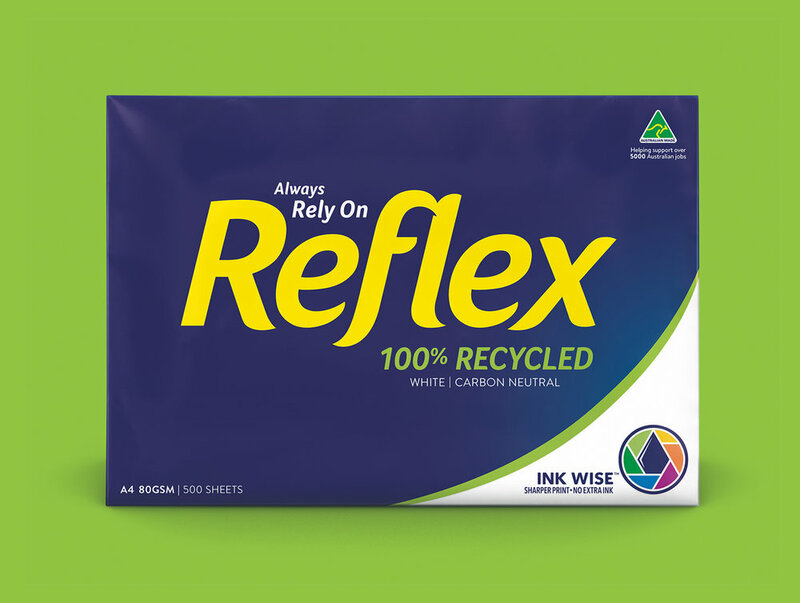 Australia happens to be one of the few markets in the world with its own premium paper brand: the ubiquitous and iconic Reflex. With the proliferation of house brands, however, many consumers had decided to switch things up and opt for a cheaper alternative to cut costs. 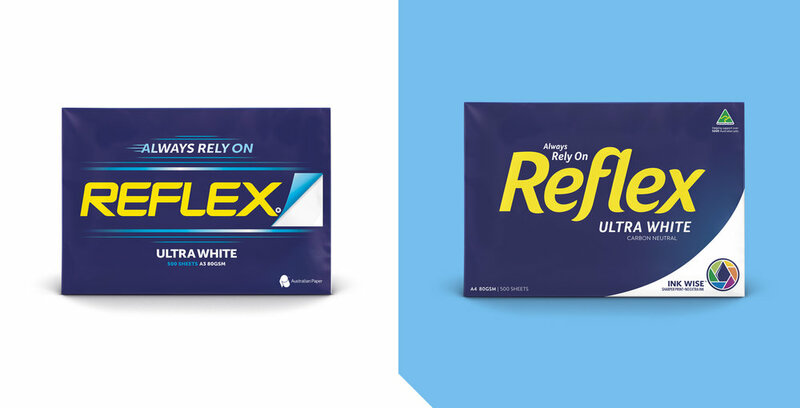 Although Reflex was the premium manufacturer of paper products, their brand felt dated, tired, and out-of-touch with the modern workplace. We needed to remind consumers that it’s about so much more than just paper, it’s about creating a lasting impression through a clear dedication to quality. 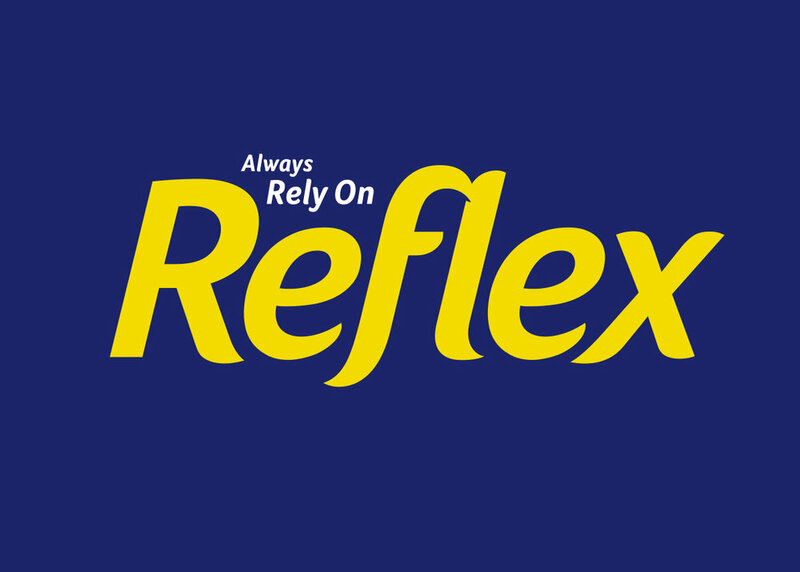 Reflex had established powerful equity in the blue and yellow that flooded their packs. We discovered that people actually loved the Reflex packaging, and didn’t want to see it change too much. Keeping that in mind, we preserved the distinctive brand assets, but toned down the authoritarian ALL CAPS to make the brand more approachable. We also pared down and stripped back. The overt paper curl became a subtle, clever detail which effectively conveyed premium performance.